Receiver model Philharmonic AM - FM operating with 33 valves, manufactured by Scott in U.S.A. in 1940. Possessed great technological advances including FM frequency band in 88 - 108 MHz. The Philharmonic model currently is considered a classic radio not only for its technological qualities but also aesthetic and finishing. Receiver model consolette manufactured by Philips, Holland in the beginning of years 50. Headboard radio model Olympic manufactured in U.S.A. circa 1949 for operation the electric outlet. Receiver model 800B, mark Scott of American origin, manufactured enters 1946 the 1949. It consisted of three basic parts, tuner, the amplifying section and the loudspeaker set. The audio section with high fidelity amplifier with 20W output in push pull circuit using power type tetrodo 6L6. 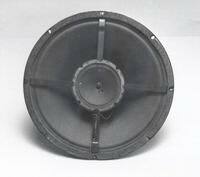 15 inches loudspeakers triaxial type provided with the respective frequencies divider.